Recent studies by researchers at Cairo University have also found a link between vitamin D and your hair growth and hair loss. There have been numerous studies on the effects vitamin D has on our general health. Vitamin D most notably plays a role in bone health and diabetes. 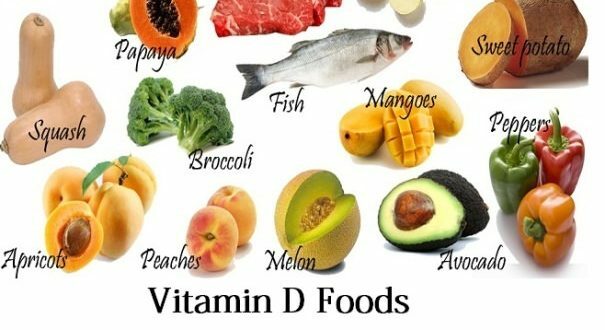 Vitamin D is a group of fat-soluble secosteroids responsible for increasing intestinal absorption of calcium, magnesium, and phosphate, and multiple other biological effects. In humans, the most important compounds in this group are vitamin D₃ and vitamin D₂. It’s a fat-soluble vitamin that is generated from exposure to UV-B light, although it can also be obtained in certain foods in your diet and through supplements if necessary. Its main function is to help the body absorb calcium and phosphorus to keep bones strong. It also has a key function in cell modulation and the immune system. As a result, this is where the link to hair growth cycle could be. Vitamin D is required in order for hair follicles to remain healthy. A vitamin D deficiency can result in hair becoming brittle and potentially shrinking hair follicles, causing hair loss. A recent study looked at hair loss in women. Studies indicated that those women experiencing hair loss had low vitamin D levels. Furthermore, increasing hair loss and disease severity caused the vitamin D levels to decrease further. The research is still in the early stages. There are strong links with vitamin D and hair loss. Or, that there is a vitamin D deficiency present in hair loss sufferers. To date, there isn’t concrete evidence to suggest that vitamin D is the only answer for curing hair loss all together. Vitamin D works alongside a number of different vitamins and minerals. Not only for our hair but our general well-being. These include, iron, vitamin C and biotin. They are all vital in the hair growth cycle. The body needs different amounts of vitamin D at different stages of life. Sun exposure isn’t often enough to keep vitamin D levels at optimal levels. Especially for those living in cold or cloudy climates. Children and Teenagers 600 IU, or 15 mcg, per day (2). Adults 600 IU per day (2). Talk to your doctor to see what dosage is best for you.